Deliver letter do not have high special requirements, for you to take the job. You can see what is required to take the job, by clicking it. 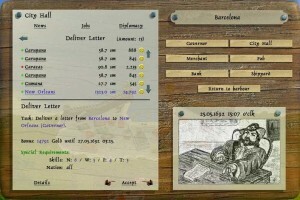 Deliver letter also gives a bonus gold, if you deliver the job within the time limit. 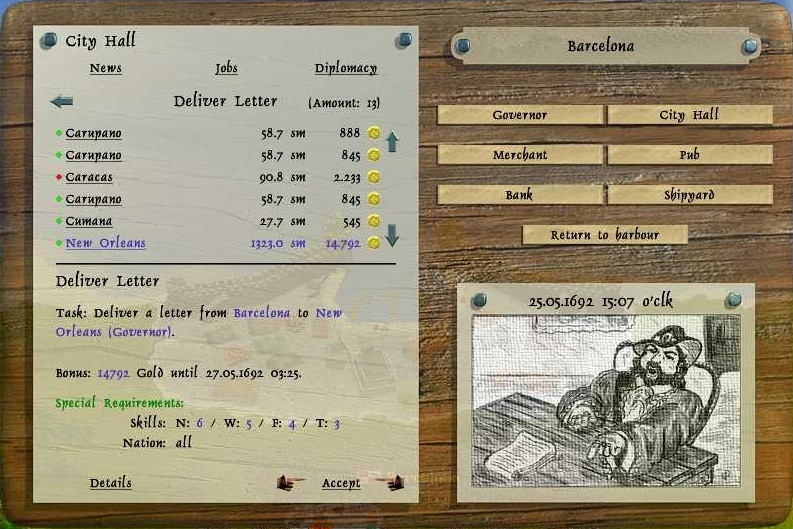 Hint: deliver letter is best done in sloops, as they are the fastest ship.